We all know that the OnePlus is a well-known Chinese smartphone maker that entered the smartphone market in the year 2013. Since then the company has emerged as a big market player by offering top of the line equipment at a mid-range cost. The first product of the company i.e. OnePlus One was a widely acclaimed Smartphone but later on, OnePlus 2 and OnePlus X failed to meet the expectations of the users. But the company has emerged strongly after the failure of these two products with the OnePlus 3 Smartphone that helped the company to regain it’s stature in the mobile segment. The overwhelming success of the OnePlus 3 has expanded the pressure on the OnePlus to come up with a product that will have the qualities and capabilities not only to match OnePlus 3 but will also have to reach much ahead of that. Alongside the company will also have to match the products of the top market leaders such as Samsung, Apple etc. which are ready to rock the smartphone market with their respective upcoming flagship smartphone. In This Blog, we will look into all the specs and configuration that OnePlus 4 must have to garner the users love and will also analyze the 10 must have qualities that are being expected in this upcoming OnePlus Smartphone. Hope the readers will find the blog worthy and educating. The views, suggestions, and queries are most welcome. One can put any question regarding any smartphone available, in the comment section of this blog, we will be ecstatic to assist you in all possible ways. The OnePlus One was launched in April 2014, the OnePlus 2 in July 2015 and the OnePlus 3 in June 2016. Going by the pattern of launch It’s more likely that the fourth generation OnePlus will emerge in the mid-2017. But it is also rumored that the company can launch it out several months prior to counter the Samsung Galaxy S8, HTC 11 and LG G6. 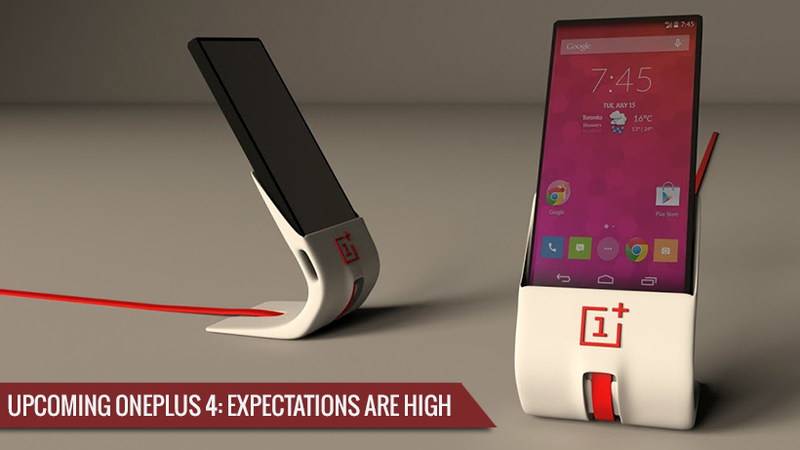 What would are we anticipating from the OnePlus 4? That is impossible to say at this moment, however, luckily we can guess the probable specs and features of the OnePlus by going through the current time trends and upcoming smartphone technological advancements. 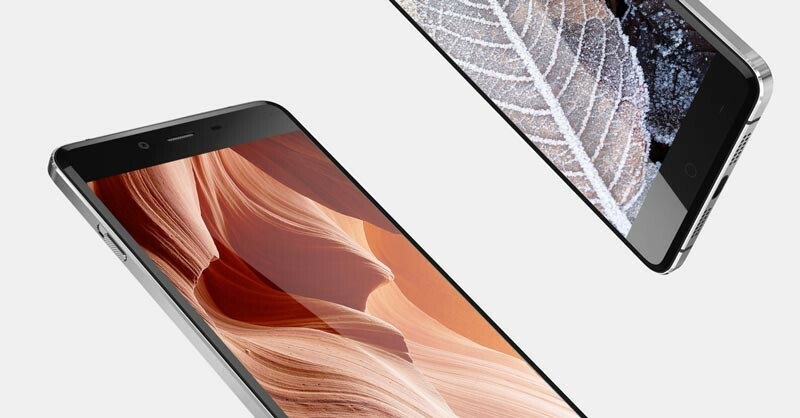 The latest launched OnePlus 3 has a 5.5-inch 1080 x 1920 resolution, much the same as the OnePlus 2 and the OnePlus One. Given how staunchly the organization has adhered to that size and determination mix it’s enticing to think it will do likewise with the OnePlus 4, and that is unquestionably conceivable, yet we figure it that company may incorporate a resolution of 1440 x 2560. The resolution of the screen on the OnePlus 3 is one of it’s few flaws and one of the main zones where the organization cut corners. To have a positive effect on the market the company must push the higher resolution display, as other major smartphone maker companies are rolling out their products with the QHD or higher resolution screen. The emergence of VR i.e. virtual reality in the mobile technology segment also demands a high-resolution screen that can provide amazing 360 videos and immersive image viewing to the users. we all know that the OnePlus has been among the initial smartphone maker that has launched devices with VR facility. OnePlus is well aware that Virtual Reality will be even more huge in 2016, so in lieu to that the company has been propelling the OnePlus 3 in VR (and the OnePlus 2 in 2015), and for the best VR viewing you require a high-resolution display. A 2K screen would enhance the VR experience on the OnePlus 4, and also giving a support to motion pictures and gaming. The size, however, most likely will be same as earlier OnePlus smartphones that have the 5.5-inch display but the company may try a bit higher screen to get into the phablet section. We additionally expect the screen will be AMOLED once more. That was new during the current year and it’s impossible that OnePlus will change back to LCD given how energetic the OnePlus 3 showcase is. While it’s difficult to pinpoint how OnePlus has held the expense down, in the last display of its handsets it probably intends to continue spending to a base amid the advancement of the smartphone, which implies a radical new plan each year isn’t prone to be on the cards. The organization totally changed the display for the OnePlus 3, giving it a really premium metal form, so we hope to see something comparative for the OnePlus 4. It won’t be indistinguishable – pay special mind to something slimmer and more refined, yet it will probably have a comparable general look. We’re assuming further bezel thinning – permitting the OnePlus 4 to brandish a more minimized casing despite the fact that it houses a 5.5-inch display. The Samsung Galaxy S7 Edge also has incorporated a 5.5-inch screen, however, it’s smaller and shorter than the OnePlus 3, which implies the OnePlus 4 ought to have the capacity to thin down as well. We wouldn’t fret if OnePlus makes its fourth generation mobile somewhat thicker, permitting it to diminish bezel size while making more space for a battery. Furthermore, space for a microSD is also expected. A considerable measure of work was put into the camera of the OnePlus 3. Both back and front sensors have a high megapixel (16MP and 8MP individually), they have been enabled with optical picture adjustment and a lot of different components. Yet, the deciding result is a snapper which still isn’t exactly up to the benchmarks of the best around, so expect the camera on the OnePlus 4 to be further tuned and moved forward. The megapixel of the back snapper may change, however in the event that so it will presumably be dropped in accordance with the present pattern of 12MP snappers from Samsung, Apple, and Huawei. We assume that the front-confronting camera will get another megapixel number, however, as 8MP is higher than most opponents, while still sufficiently low to take a decent shot. It’s likewise conceivable that OnePlus will blend things up further by including a double lens camera, particularly as this appears to be the following pattern. Battery life is one territory which OnePlus will ideally be concentrating on for upcoming smartphone. The OnePlus 3 energizes quick, however, its juice pack has contracted to 3000mAh, a lessening in size from its forerunners. Execution of the battery endures, and the OnePlus 3 can pretty much see out an entire day with moderate use – so we’re trusting the OnePlus 4 gets a modification in this division. The Dash Charge tech of OnePlus has been utilized in the OnePlus 3 is great, and we completely hope to see it in the OnePlus 4. It could be considerably quicker as well, as sister organization Oppo uncovered a much speedier charging tech at MWC 2016. OnePlus smartphones are dependable among the most, and we don’t expect that will change with the OnePlus 4. So it’s prone to have whatever the processor existing apart from everything else is, which by then will most likely be the Snapdragon 830. That chip, while not official yet, is reputed to bolster 8GB of RAM, so don’t be amazed if the OnePlus 4 accompanies that much, given that the OnePlus 3 as of now has 6GB. It will probably run Android (likely Android N) overlaid with OnePlus owned particular Oxygen OS. The OnePlus 3 has a unique finger impression scanner, so anticipate that that will return. It’s conceivable that OnePlus will include different elements for its next flagship, maybe an iris scanner for instance, subsequent to Samsung which is perhaps going to begin utilizing them. In any case, the organization will probably be centered around making the best smartphone at a much reasonable price, so in the event that it doesn’t think a component is advantageous or prone to be utilized by numerous than it most likely to exclude it. A case of that is the absence of NFC on the OnePlus 2. The OnePlus 4 is still a distant dream and at this moment we are busy playing around with the OnePlus 3, the more we utilize it the more we wind up longing for things that can be inserted in OnePlus 4. So, here is our list of things that must be incorporated in the OnePlus 4 to list it with the top upcoming smartphone which are worth waiting for in the year 2016-17. OnePlus has stayed with a 1080p resolution since the very beginning and with every passing year, it turns into that tiny and bit more faulty. Regardless it fine, however discernibly less sharp than a QHD display and it’s turning out to be less and less commendable, so we’re seeking this QHD display in the upcoming OnePlus smartphone. Seemingly that is more imperative given that there’s very little that can assess top-end smartphones. The OnePlus 3 accompanies 64GB of capacity, which is a liberal sum, particularly at the price it comes and further that can’t be even expanded. So in the event that you need more space, you can’t have it. 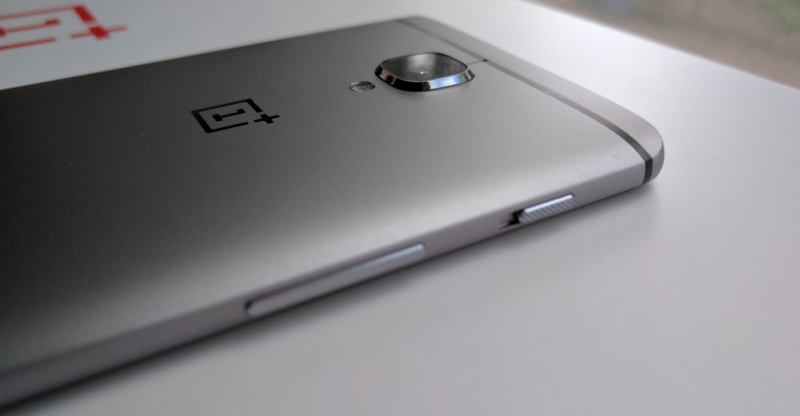 The OnePlus must come with more storage capacity and with expandable functionality. Even that 64GB will presumably be sufficient for the vast majority, yet not for everybody, so it would be awesome if the OnePlus 4 gives us space for extension. As high-spec and more featured camera must be presented. The camera on the OnePlus 3 is not immaculate, as shots once in a while turning out foggy and somewhat dull, particularly when the lighting isn’t perfect. We needn’t bother with more megapixels one year from now, however ideally OnePlus will promote tuned and polished camera so it can take shots to match the best smartphones category. One convenient component on the OnePlus 3 is having the capacity of the double tap by which the screen can be turned on, however, we’d like to see that being made a stride further, with having the capacity to turn the screen off with double tapping. This may take some work, to guarantee that the smartphone knows when you intend to do that and when you’re just overwhelmingly tapping an application, however, it would be a perfect, efficient component in the event that they can make it work. The OnePlus 3 is obviously a gorgeous smartphone, in truth, it looks awesome, with a metal unibody and a serenely bended shape. It’s a major change on the OnePlus 3 then, however, it additionally looks a considerable similar to the different smartphones like HTC 10 and iPhone 6S. That is not a colossal issue, after all, there’s alone so much you can do with a rectangle and generally, manufacturer are borrowing some with their rivals but for OnePlus 4 to look ahead of other smartphones the company needs to build a completely new and elegant design to impress the buyers. The OnePlus 3 has more RAM, a speedier processor, and a higher spec camera than the OnePlus 2, however, the battery has contracted. With Dash charging you can juice it up rapidly, however, that doesn’t help when you’re any place close to a charger, so we’d truly jump at the chance to see upgrades in life for the OnePlus 4, either through a bigger juice pack or just improvements. The OnePlus 3 points (and to a great extent succeeds) to most recent a day power, however, two days of life would be a commendable idea. While the OnePlus 3 looks incredible it can’t survive a splashing, which is an issue, given that 71% of the Earth’s surface is secured in water. Waterproofing still isn’t a standard component on most of the smartphones, yet we’d like it to be, particularly top of the line ones, so ideally the OnePlus 4 will join the club. The OnePlus 3 has a solitary descending terminating speaker, which can pump out sound at a satisfying volume, however, tends to contort on the off chance that you turn it up too high. So it is decent to see a solid speaker in the OnePlus 4. Even better two speakers, and not on the base where they can without much of a stretch get to be secured. Changes to sound through earphones would likewise be a welcome element and that can even have the capacity to upscale music quality. A curve screens are liable to wind up increasingly in coming couple of years. Samsung has grasped them and may go curve with it’s Galaxy Note 7 and Apple is additionally expected to add bends to its smartphones sooner or later and once that happens everybody is liable to take after. Obviously, curve screen may appear pointless, but Samsung has demonstrated how they can be truly helpful with Edge screen and we’d like to see OnePlus take action accordingly, or think of its own uses for curve screen. The OnePlus 4 will undoubtedly have a superior camera than the OnePlus 3, however, we don’t simply need a superior camera, we need an additional lens, giving it more flexibility. An execution somewhat like the LG G5 – where one lens is particularly intended for wide-edge shots, would be extraordinary. At that point, the other can be a standard one along the lines of what the OnePlus 3 has, so users will have the apparatuses to take extraordinary shots in any situation.